This luxury ground floor two bed/ two bath apartment is located in the new Persimmon Development. The apartment is easily accessible, with its large spacious hallway leading to the two bedrooms, the main bathroom and the kitchen/diner. Both bedrooms are furnished to a high standard. The master bedroom comes equipped with a king sized bed, a TV, radio alarm and an ensuite. The second bedroom has two single beds. The spacious lounge/dining room features a leather corner suite, an oak dining suite, a flat screen TV (satellite) and double patio doors opening on to the promenade with views towards Mumbles and Swansea Bay. The kitchen is fully fitted with an electric oven/hob a microwave, a toaster and a washer/dryer. The apartment has central heating and an allocated parking space. 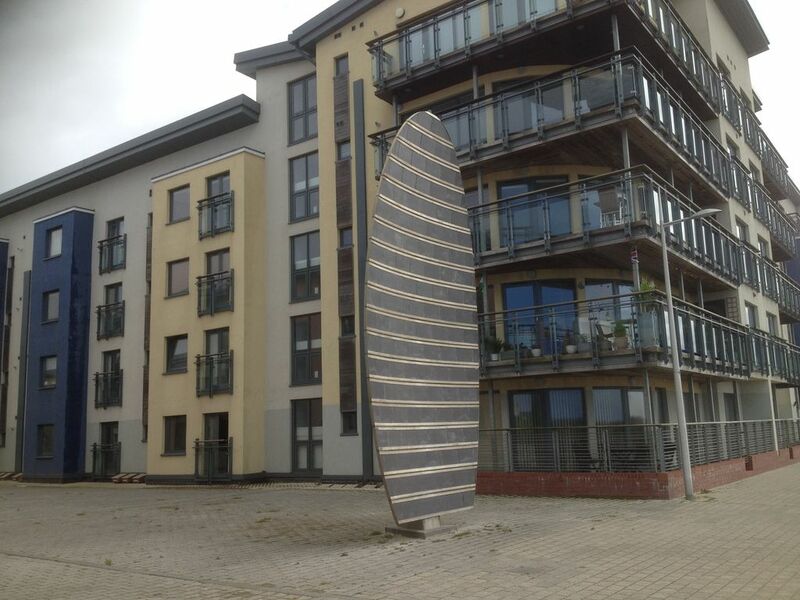 Situated in Swansea Marina, the city's historic maritime quarter, our apartment is located beachside with superb links to Swansea Bay, the beach and the promenade. Ideal for walking or cycling, the apartment is situated only 5 miles from the beautiful seaside village of Mumbles, and from the gateway to the Gower peninsula. The marina has many attractions around the dock, including museums, bars, restaurants and the newly refurbished leisure centre, LC2. Whilst the vibrant city centre is only a short stroll away, where you will find the famous indoor market, quality high street stores for shopping, cinemas, casinos and the abundance of bars and restaurants on Wind Street. The new Liberty Stadium is only a short drive away. Beds were comfortable and the location is fantastic. The apartment was quiet and had everything we needed. Our host was thoughtful, flexible and solicitous when I had a medical issue that delayed us a day, and did more than required when my US phone was not communicating well with his. (If from the US be sure to include the country code when texting someone in the UK even if phone calls work without it.) If we go to Swansea again we would definitely consider this location. Lovely and clean. Beds and sofa very comfortable. Great location, was able to leave the car and walk to Marina and Town. Anthony was helpful and welcoming. Would definitely return. A lovely apartment, a joy to go back to after exhausting days out! All home comforts provided. Would recommend it to friends and family visiting Swansea. Lovely well equipped apartment great for our family mini break! Great for shopping, walking and sightseeing. Enjoyed exploring the Gower and finding all little bays. Property was in a good position to walk along by the sea or into Swansea also good for the Pump house for eating and having a drink plus the waterfront museums. We booked the apartment for a very short break as we were taking part in a charity hike on the Gower coast. It was perfect as a base in terms of its location and the facilities it provided. It was very clean, comfortable and quiet. Being just a short walk away from restaurants and bars, it is very well placed and it has a lovely outlook. Anthony was very easy and efficient to book with. We would thoroughly recommend the apartment.